Wearable tech for tracking when cows are ‘in heat’? Sure, why not? 2014 might be the year for wearable tech, but there’s no reason for it to stop at humans. Or dogs. Is there? 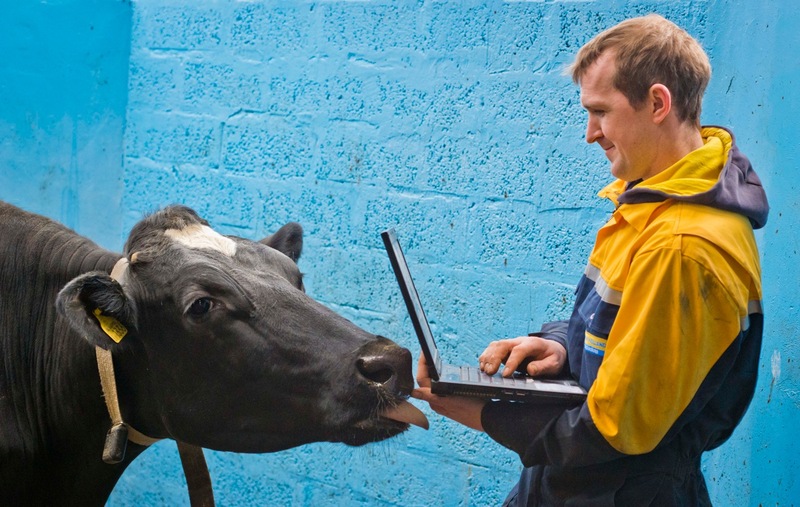 That’s right, although it’s not quite the bovine Fitbit you might have been thinking of, the company behind the Silent Herdsman (formerly known as Embedded Technology Systems, an altogether less catchy name) cow collar has bagged another £3 million investment to bring it (and other new services) to farmers around the world. Rather than, err, counting calories burned, the Silent Herdsman collar has various sensors that continually track a cow and trigger an alert (on a phone, tablet or computer) if there’s a change in the usual pattern of behaviour. For example, the company says it can detect when an animal has entered its oestrous cycle – otherwise known as being ‘in heat’. As well as that, the company says the tracker helps with overall animal health and leads to increased milk yields, and enhanced profitability for farmers.